I’m very happy to hear the news that L’Artisan Parfumeur is going to reissue Jour de Fête as its spring 2014 limited edition. 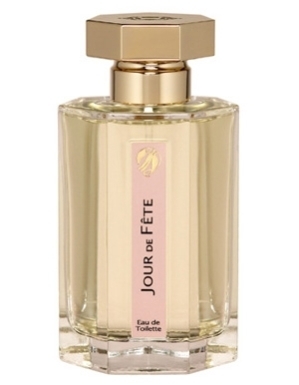 Jour de Fête was first released in 1986, and then in 2003 it was reinterpreted by perfumer Olivia Giacobetti. The fragrance is inspired by almond dragée (Jordan almonds), the sugar-coated almonds that are part of many French celebrations. It includes notes of bay leaf, almond, iris, wheat, white cedarwood, and vanilla. L’Artisan Parfumeur will also relaunch two of its celebrated perfumes in 2014, but for now, they’re leaving us to guess which ones. Victoria: Here is a recipe that’s similar to hers. Except that she adds no saffron and uses rose water instead, or a drop of rose essence. Austenfan: I love the name of this perfume. It reminded me instantly of the Tati film. I too would love a sniff of Jacinthe des Bois, Fleur de Carottes, Fleur de Narcisses and Iris Pallida. Victoria: Fleur de Carottes was one of the first L’Artisans I’ve smelled. I remember finding it intriguing but ultimately not very interesting to wear. I’m curious how it would appear to me now. rainboweyes: As an iris aficionada I’m quite thrilled about Artisan reissuing Jour de Fete. I’m quite new to niche perfumery and have never had the chance to try the former versions but I trust in Giacobetti’s talent. I’ve always loved her creations. 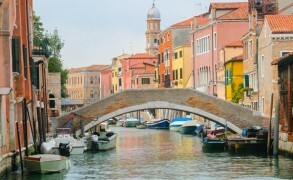 Has JdF any similarity to Traversée du Bosphore, by the way? Victoria: It’s a different animal. Jour de Fete is crisp, transparent, not at all cloying and quite delicate. TdB, by comparison is much warmer and sweeter. Alessandra: I like and admire it an awful lot, but it’s far too complicated to wear. Sometimes it’s suffocating. I still don’t want it to be discontinued, hehe.